Our latest round up is a mammoth one spanning the celebrations for Dylan’s 100th birthday and reflecting the attendant increase in interest in all matters Dylan Thomas. 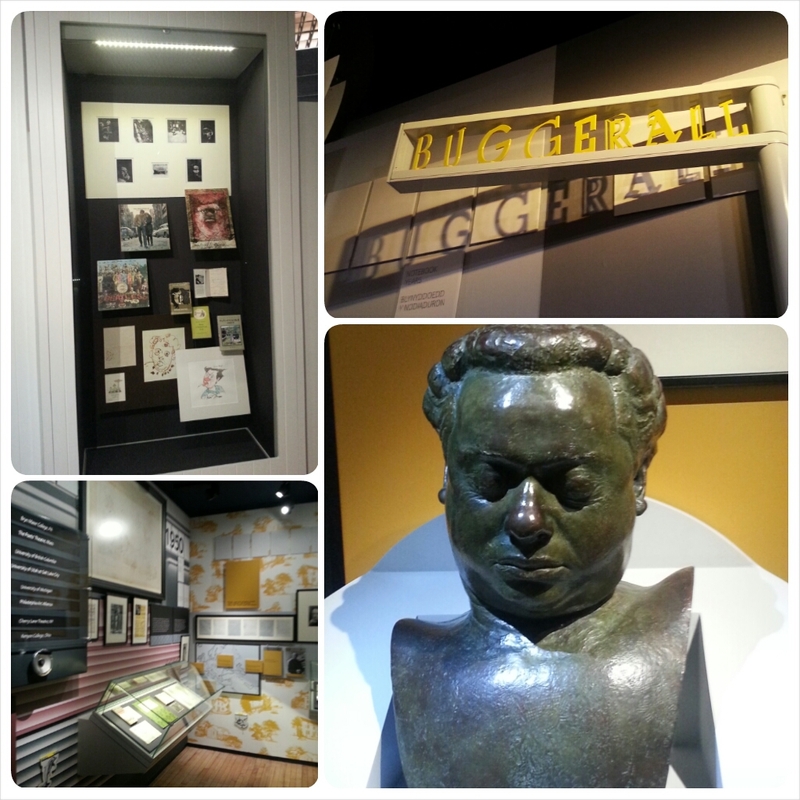 The weekend of October 25th-26th saw celebrations at the Do Not Go Gentle Festival and Dylan Thomas Birthplace in Swansea, in London at the Dylan Thomas in Fitzrovia Festival, and in New York at the 92Y where Michael Sheen directed and starred in a performance of Under Milk Wood on the same stage where Dylan first performed the work. The 26th also saw the start of the 36-hour Dylathon at Swansea’s Grand Theatre which reached it’s climax at 11pm on October 27th. This star-studded performance of Dylan’s work staged by Michael Bogdanov has been widely praised as one of the highlights of the centenary year. October 27th also saw the official opening of the new permanent exhibition of Dylan Thomas material at the Dylan Thomas Centre, Swansea; another high point of the centenary. 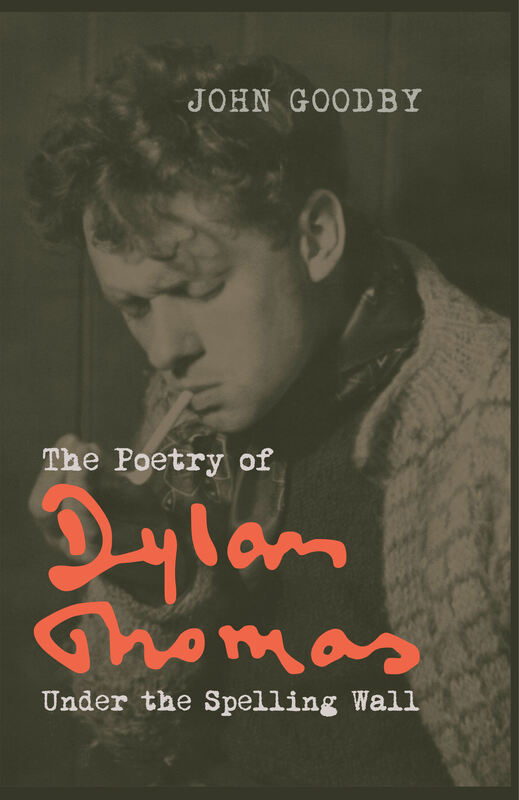 Back in New York on the 27th, the new Collected Poems of Dylan Thomas was launched by John Goodby at Bauman Rare Book Store; actor Michael Sheen gave readings from the new volume at the launch. “Dylan Thomas” was trending on twitter in the UK on Dylan’s 100th birthday, and the use of “Do Not Go Gentle Into That Good Night” in both Interstellar, the new blockbuster directed by Christopher Nolan, and in a US TV commercial for WWE 2K15 starring the wrestler John Cena, has created a noticeable increase in Dylan Thomas related comment on social media. The Dylan Thomas Society celebrated the poet’s birthday with a luncheon at Sketty Hall, Swansea, on November 2nd ; singer-songwriter Ralph McTell was the guest speaker. The same evening saw the Swansea Gala premiere of the new Dylan Thomas film Set Fire To The Stars at the Taliesin Arts Centre. November 9th marked the 61st anniversary of Dylan’s death and this year’s wreath-laying at Westminster Abbey takes place on November 29th. Although we are now heading towards the end of celebrations for the Centenary there are still a number of exhibitions and events taking place. 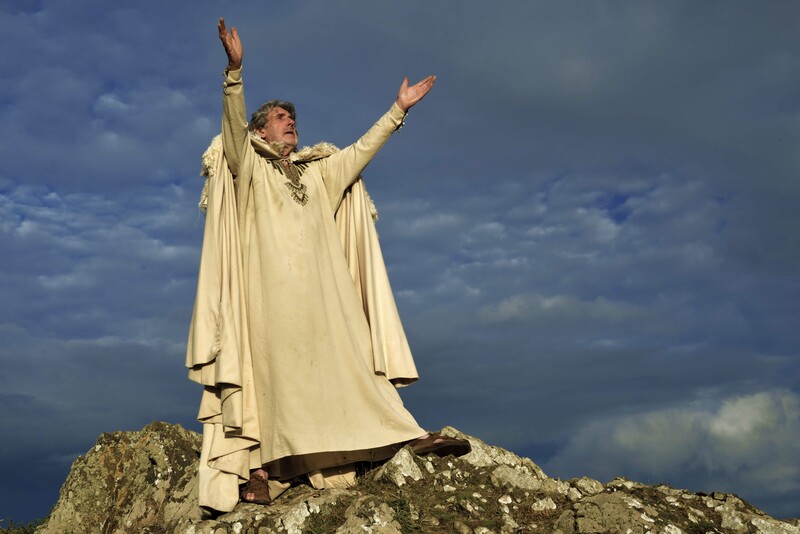 The big screen version of Dan y Wenallt, the Welsh language adaptation of Under Milk Wood, will be showing in cinemas across Wales during December, and there is a tour of A Child’s Christmas in Wales. A Dylan Thomas public symposium takes place at the National Library of Wales, Aberystwyth, on December 6th. For more information on events during November and beyond please check out our comprehensive Events page. “The most exciting discovery since his death in 1953” is how Professor John Goodby has described the reappearance of a “lost” Dylan Thomas notebook which is being offered for sale at auction by Sotheby’s with an estimate of £100k-£150k. The notebook was apparently saved from destruction by a domestic servant of Dylan’s mother-in-law Yvonne Macnamara and has been languishing in a paper bag for many years. Dating from the mid 1930s the notebook contains 19 handwritten poems and will provide scholars with fresh insight into some of Dylan’s more complex poems. The other four surviving notebooks are in the collection of the University at Buffalo but have been on loan in Wales during the Centenary year and are currently on display at the National Library of Wales, Aberystwyth. A more prosaic but intriguing discovery has been made by book dealers Peter Harrington who found a list of Robert Browning poem titles written by Dylan on the back of an envelope. The envelope which is thought to date from 1943 or later had been addressed to Osbert Sitwell but had never been posted. 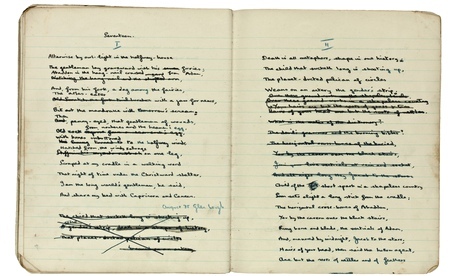 A small number of Dylan Thomas related items were sold at Bonhams, London, on November 12th. They included a bounced cheque made out to a pub landlord in Laugharne which fetched £3750, a typescript with autograph revisions of his final broadcast ‘A Visit to America’ that fetched £4750, and the last known letter written by Dylan Thomas referring to the Portreeve’s annual breakfast at Laugharne which fetched £2500. Dylan’s granddaughter Hannah Ellis has talked to us about her grandfather’s work, the new book of essays she’s edited, the centenary celebrations, what it’s like to see her grandparents portrayed on screen, and her own literary aspirations. Poetic responses to Dylan Thomas have been produced by National Poet of Wales Gillian Clarke and the late Dannie Abse. Gillian Clarke’s Especially When The October Wind was originally published on-line by Sheffield’s Off the Shelf Festival of Words and can now be read on the Developing Dylan website. Dannie Abse’s tribute Soap Bubbles was to be read by the poet at a birthday dinner for Dylan during the Dylan Thomas in Fitzrovia festival, but Mr Abse died on September 28th and so his friend and fellow poet Owen Sheers read the work. The poem has been published on-line by the Camden New Journal. 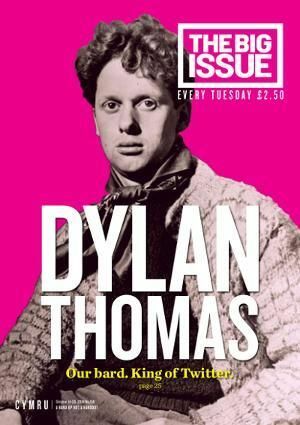 Dylan Thomas graced the cover of the October 23rd edition of the Big Issue in Wales, and inside an article by Jeff Towns looked at how Dylan might have predicted social media. A number of Big Issue sellers were also invited to take part in the Dylathon at Swansea’s Grand Theatre. The permanent collection of Dylan Thomas material at Swansea’s Dylan Thomas Centre has been re-opened following substantial funding from the Heritage Lottery Fund. The new exhibition which incorporates new displays that allow more of the collection to be on show was officially opened by Michael D Higgins, the President of Ireland, on October 27th. President Higgins also took part in the Dylathon at Swansea’s Grand Theatre later on the same day. The BBC have produced an eBook devoted to Dylan Thomas. 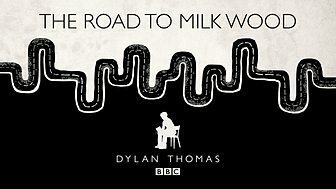 The Road To Milk Wood includes archive clips and tells the story of his life and the creation of Under Milk Wood. It includes recordings of Dylan reading extracts from his works as well as incorporating video and audio clips from performers such as Richard Burton, Tom Jones, Ioan Gruffudd, Elizabeth Taylor, Cerys Matthew, Ruth Jones and Charlotte Church. The Radio 3 broadcast of the BBC National Orchestra of Wales concert from the My Friend Dylan Thomas festival in Bangor included the first public airing of a home recording of Dylan reading Do Not Go Gentle Into That Goodnight, made by his friend the composer Daniel Jones. Jones’ son-in-law Rob related how the National Sound Archive helped him recover the recording that had been made on a Wirek tape recorder in the early 1950s. John Goodby has given his inaugural professorial lecture at Swansea University. The lecture “Clap its great blood down”: editing The Collected Poems of Dylan Thomas: A New Centenary Edition was given at the Wallace Lecture Theatre on November 18th as part of the Being Human Festival. 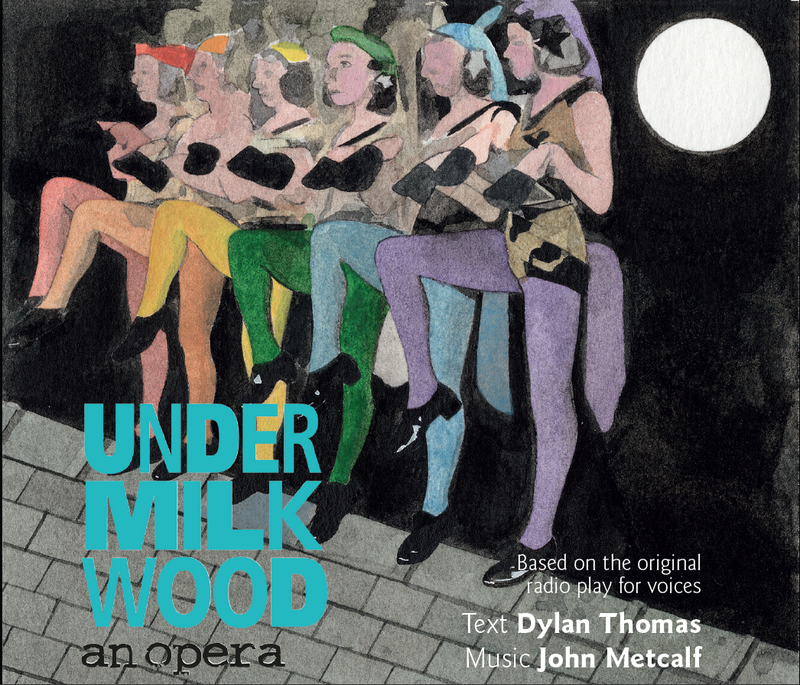 John Metcalf’s Under Milk Wood : An Opera is now available on double CD from Ty Cerdd. A downloadable version is planned. 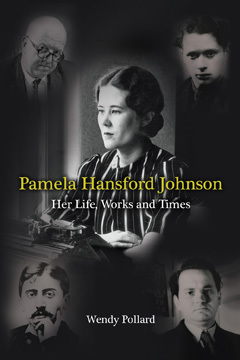 A biography of Dylan’s first serious girlfriend Pamela Hansford Johnson : Her Life, Work and Times has been written by Wendy Pollard and is published by Shepheard Walwyn. 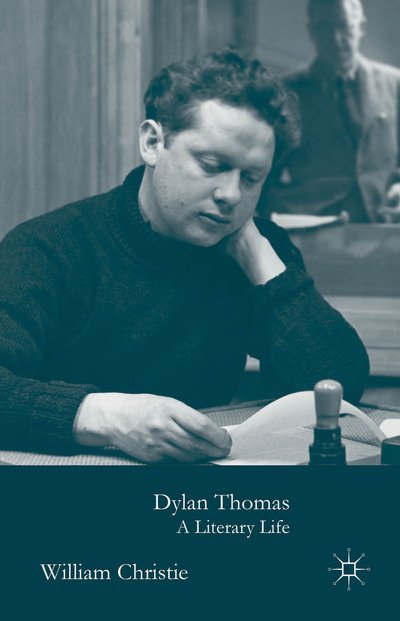 Dylan Thomas : A Literary Life by William Christie is due to be published by Palgrave Macmillan during November. 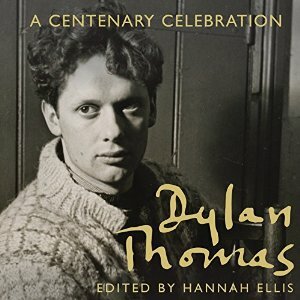 A talking book version of Dylan Thomas : A Centenary Celebration edited by Hannah Ellis, published by Bloomsbury, is now available from Audible. The narrator Malk Williams has written a blog about the recording. John Goodby’s The Poetry of Dylan Thomas : Under The Spelling Wall published by Liverpool University Press is now available in paperback. 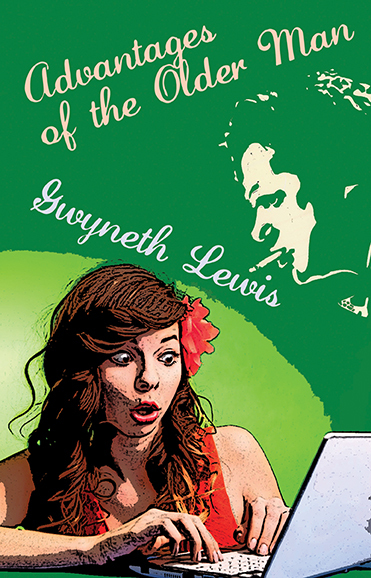 Advantage of the Older Man by Gwyneth Lewis is a comic novella exploring the strange case of a Swansea woman who is apparently possessed by the spirit of Dylan Thomas. Published by Seren Books. Orion have produced a special gift edition of Under Milk Wood published to coincide with the Dylan Thomas centenary, with an introduction by Catherine Zeta-Jones. 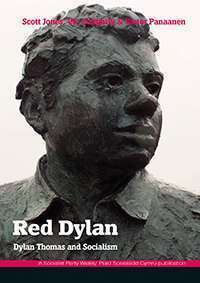 Red Dylan : Dylan Thomas and Socialism is a pamphlet looking at Dylan’s interest in socialism. It reprints articles by Victor Paananen and Vic Golightly with a new introductory article by Scott Jones. Published by Ken Smith Press & Socialist Party Wales, it can be purchased from Left Books. 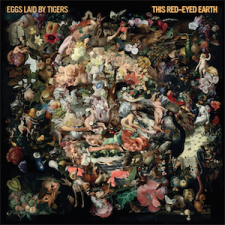 Danish band Eggs Laid By Tigers who use Dylan’s words as lyrics for their songs have released their second album This Red-Eyed Earth. They recently headlined at the Do Not Go Gentle Festival in Swansea. Swansea indie band Helen Love have released a tribute song to celebrate Dylan’s Centenary. 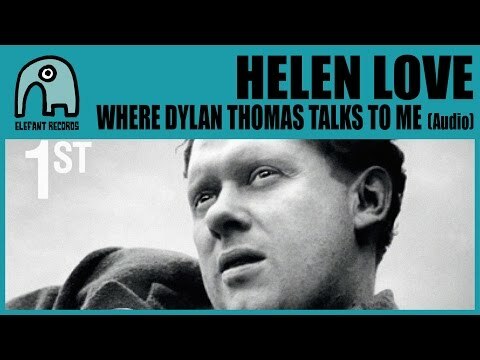 Where Dylan Thomas Talks To Me is available as a free download from Elefant Records. 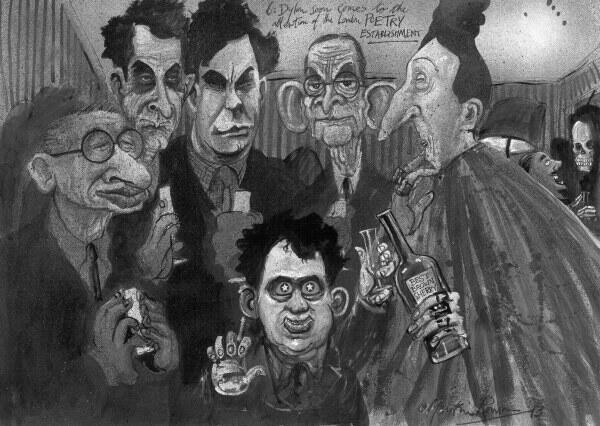 The original cartoons by Martin Rowson for Dylan’s Progress, a series commissioned to mark the Dylan Thomas Centenary, are now for sale. Dan y Wenallt the Welsh language adaptation of Under Milk Wood directed by Kevin Allen receives it’s official premiere at Chapter Arts Cardiff on December 11th and opens in cinemas across Wales on the same night. It will be shown on S4C on December 27th. The English language version will be released in early 2015. A new website has been launched with details of cinema screenings. Set Fire To The Stars received it’s Swansea Gala performance at the Taliesin Arts Centre on November 2nd and opened at UK cinemas on November 7th. Dylan Thomas v RS Thomas : Brwydr Y Beirdd aired on S4C on October 26th and pitted twin brothers the poets Damian and Jason Walford Davies against each other in an attempt to challenge the myths that surround two of Wales’ greatest poets. The BBC repeated a number of programmes from their Dylan Thomas season close to Dylan’s birthday on October 27th. ITV screened a new documentary My Grandfather Dylan which saw Dylan’s granddaughter Hannah Ellis visit sites associated with her grandfather. Michael Sheen read extracts from Dylan’s work. Dylan Watch on TV & Radio – Dylan Thomas’ work made lots of appearances on TV and radio over the past few weeks – here’s a selection. Jonathan Pryce recited “Do Not Go Gentle” on BBC’s Newsnight, the Reverend Eli Jenkin’s prayer from Under Milk Wood was read during a funeral scene on the BBC drama Our Girl, Michael Sheen talked Dylan Thomas on Radio 4’s Front Row, Elijah Wood was a guest on the One Show talking about his role in Set Fire To The Stars, BBC Newsround filmed a piece at 5 Cwmdonkin Drive, BBC South West ran a short piece on Dylan’s time in Cornwall, Cerys Matthews and John Humphries read from Under Milk Wood on the Today programme, and the BBC broadcast five short plays by new writers to mark the Dylan Thomas Centenary in a series called 21st-Century Dylan. Dylan’s 100th birthday brought unprecedented coverage in the newspapers and magazines. Here’s a by-no-means comprehensive selection. The British Council have commissioned a series of five short films celebrating the life and work of Dylan Thomas. A website also includes materials for English language teachers including lesson plans, articles, and audio recordings. 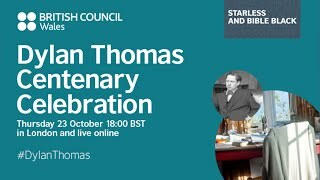 On October 23rd a Centenary celebration took place in London and live online, featuring a talk by Hannah Ellis and readings by Guy Masterson. 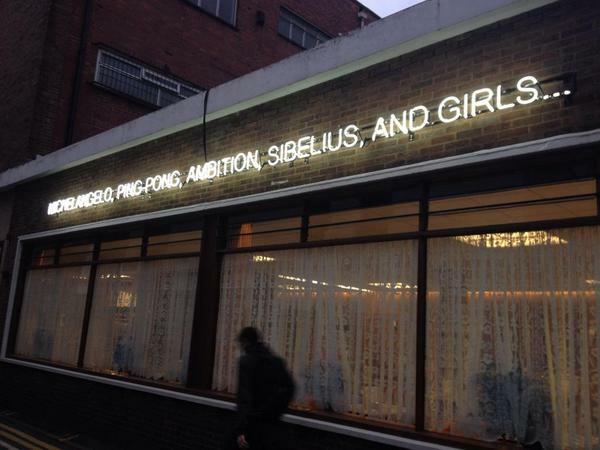 The latest public art installation from Swansea’s Art Across The City programme is a neon sign on the Kardomah Cafe building that features a quotation from Dylan’s Return Journey. 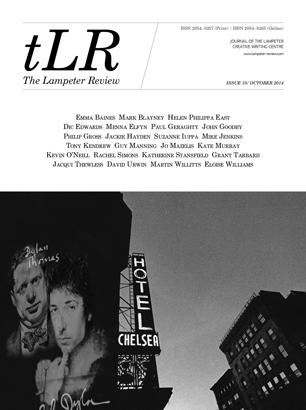 Issue No 10 of The Lampeter Review, the online magazine of the Lampeter Creative Writing Centre, is an issue devoted to Dylan Thomas. The subject of the latest interview in a series by Jasper Rees to be published in the Wales Arts Review is Gwen Watkins. Poetry Wales has published an article by Professor John Goodby of Swansea University that criticises aspects of the Dylan Thomas centenary celebrations. Dylan’s US publisher New Directions have included some interesting Thomas related material on their blog. The University of Wales Centre for Advanced Welsh and Celtic Studies has announced the publication of a newly updated article on Dylan Thomas within the Dictionary of Welsh Biography. The article by Professor Walford Davies has been updated to reflect current understanding of Dylan Thomas’ life and the circumstances of his death, and shows how important Wales was to him as a writer. The ODNB has produced a podcast biography of Dylan Thomas which can be downloaded here. The Libraries Special Collections at the The University of Victoria, British Columbia, has recently received a donation of Dylan Thomas related papers from the Dylan Thomas scholar Ralph Maud. Swansea Council have unveiled a blue plaque honouring Vernon Watkins on the former Lloyd’s Bank building on the corner of St Helen’s Road and Beach Street, Swansea, where he worked for 38 years until 1966. A judicial review considering the decision to build a wind turbine opposite the Boathouse in Laugharne has been granted and will take place in the new year.